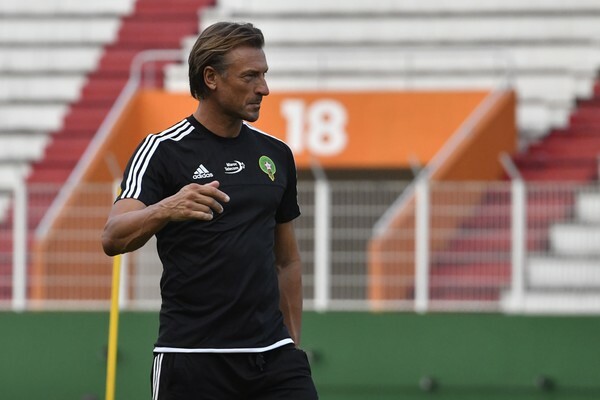 Herve Renard has left his job as Zambia coach, with a club job at FC Sochaux in France next in line. The Frenchman first took charge of Chipolopolo in 2008, and returned for a second spell in 2011 which culminated in their astonishing success in clinching the Africa Cup of Nations title the following year. Renard has been in high demand ever since, with Ligue 1 side FC Sochaux having made a bid for his services. His contract with the Zambian FA only expires in July 2014, but with the country having failed to reach the final stages of qualifying for the World Cup in Brazil next year, an agreement was reached to see him leave earlier. “The Football Association of Zambia hereby announces the release of Herve Renard from the job of national coach of the Zambian National Football Team,” a statement read. “The 2012 Nations Cup-winning coach has been offered a wonderful opportunity at FC Sochaux in the top league in France. “FAZ and Herve have consulted and it has been agreed not to stand in his way. It is a compliment for a coach working in Africa to be head-hunted by a top European Club. It makes us proud to be able to take ownership of Herve’s rise as a successful international coach. Assistant Coach Patrice Beaumelle will take charge of Chipolopolo in the international friendly against Brazil in Beijing next week.